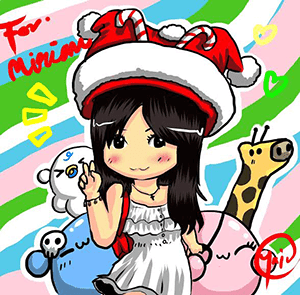 Hello my pretty merry goers. 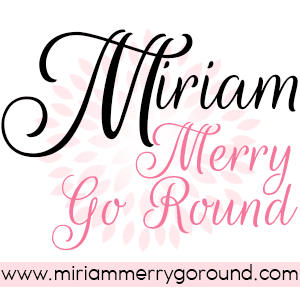 I am back with another #MiriamBeauty post and this time it is to introduce the latest addition to the Pure Beauty skincare line. 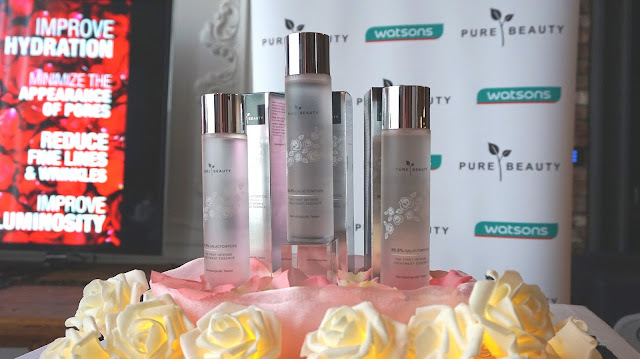 Pure Beauty is definitely stepping up their game with introducing a wider range of skincare products especially with the First Intense Treatment Essence officially launched with collaboration with CLEO Malaysia yesterday in WOLO Penthouse, Bukit Bintang. 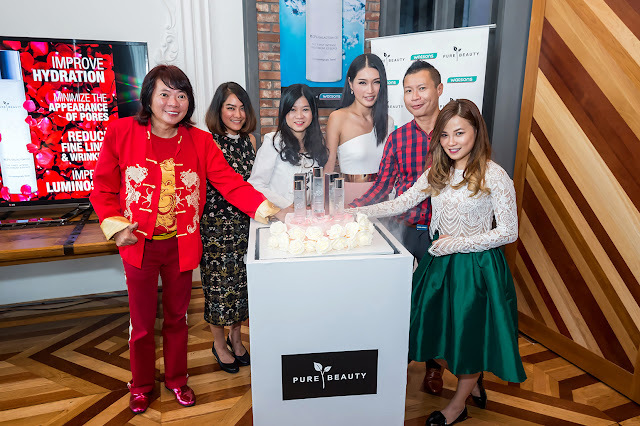 Amber Chia who was also present at the launch shared her personal testimonial with members of the media and fellow bloggers. She claims that after one week of consistent use, her skin feel so much more fresh and supple, helping reduce her fine lines and dark circles as well. 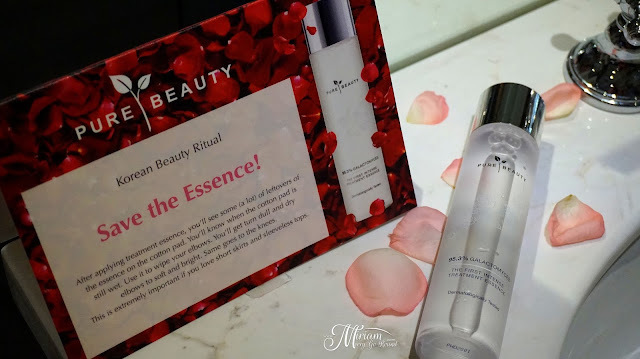 The treatment essence claims to turn dull skin to luminous and clear skin without two weeks and was inspired by the Korean everyday beauty must-do. 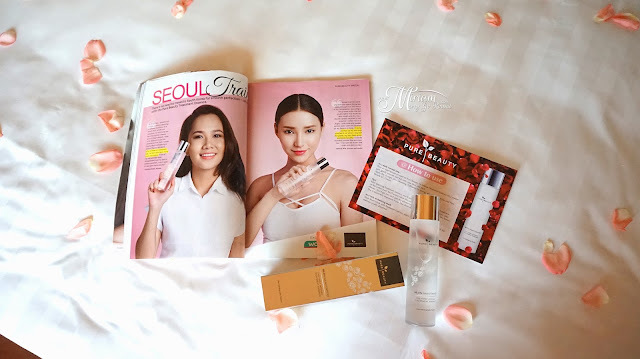 Everyone definitely wants that natural healthy glow that Koreans promote. Containing 95.3% Galactomyces (enriched fermented yeast concentrate which contains amino acid, vitamin and enzyme), the First Intense Treatment Essence promotes to be effective for brightening and skin elasticity. 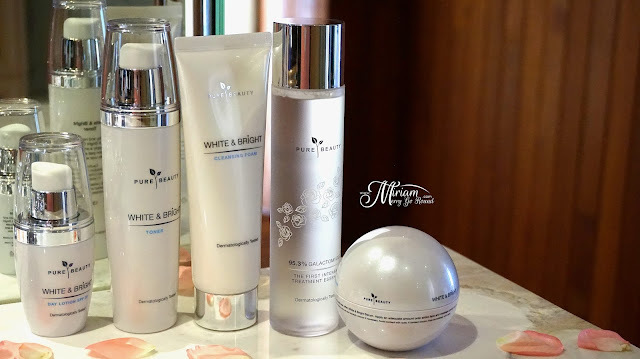 Instantly, you will get skin which is brighter, smoother and softer. 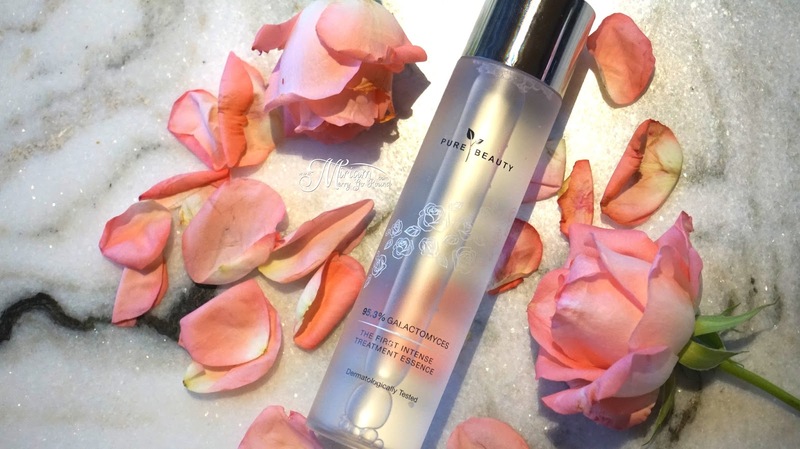 The essence is also enriched with Bulgarian Rose Water, to act as a multi-effect solution agent to restore the skin to its youthful flawless state. 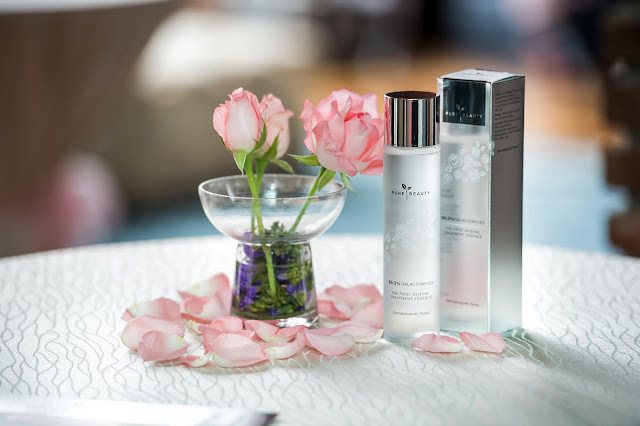 Rose water has been becoming one of the hot ingredients in the beauty industry, known to soothe mild sensitive skin and restore hydration. Apply using cotton pad after cleansing and follow with the rest of the skin care regime. The essence will help to prepare, soften and treat the skin. I personally like to use a mask sheet and soak in the essence to use it as a mask before I apply for makeup. 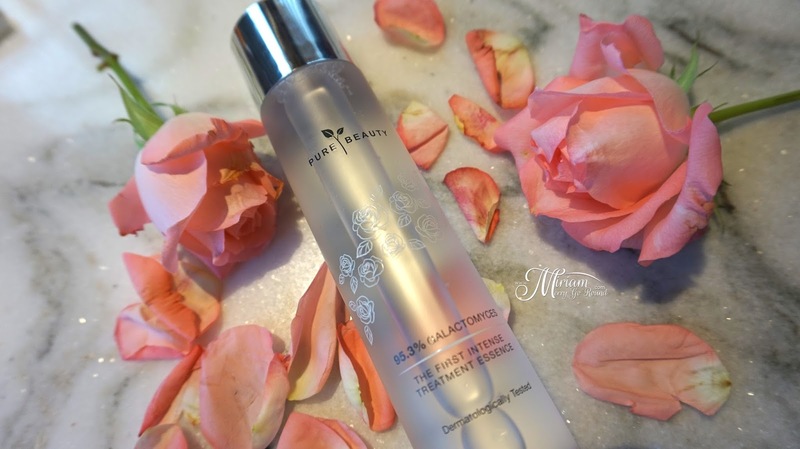 I feel that it will give me a nice hydrated base which keeps my makeup on longer and better.